Are you struggling to get to grips with country guitar techniques? Do you want to play authentic country solos? Are you eager to develop banjo rolls, hybrid-picking and legato? Do you want to confidently outline chord changes in your solos? 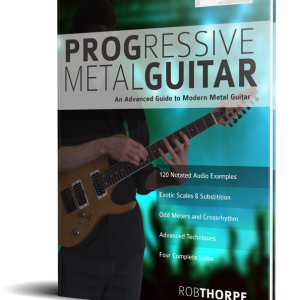 Are you ready to add chromatic approach notes and impressive open string licks? Have you ever wondered how great country guitarists effortlessly outline the chord sequences in their solos and never break a sweat? Country Guitar Soloing Techniques takes you on a journey of discovery that teaches you authentic country guitar soloing using the actual techniques of the masters. 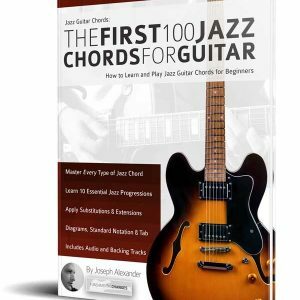 With over 100 notated audio examples, every essential technique, scale and approach is dissected and developed into musical licks and exciting, flamboyant solos. From simple scales, to triads and chromatic approach notes, the harmonic and theoretical aspects of soloing are broken down and rebuilt effortlessly into articulate solo lines that sound incredible. You’ll discover triads, Pentatonic scales, open string licks, hybrid-picking, banjo rolls, slurs and chromatic ideas that will quickly propel you to country guitar soloing greatness. 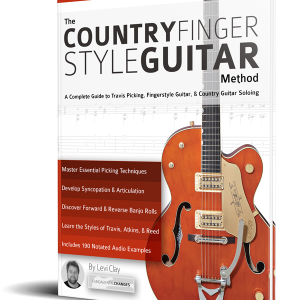 100 Pages of country guitar essentials stuffed with 180 individually recorded examples – Learn to play exciting solos based around essential chord shapes. A masterclass in country soloing – From simple ideas to advanced lead guitar licks that teach you to play authentic country guitar: effortlessly. Detailed discussion of note choice, picking technique, chromatic ideas, stylistics and building speed. Hitting the Changes – A comprehensive guide to outlining the chords in your playing to create a tight-knit, articulate and musical country guitar solo. The complete guide to country bending – Master the essential art of bending for fluid and expressive solos. Two complete studies pieces that teach you to combine each technique into devastating, musical approach. Reading music from paper is one thing, but once you hear how to apply it, it becomes music. 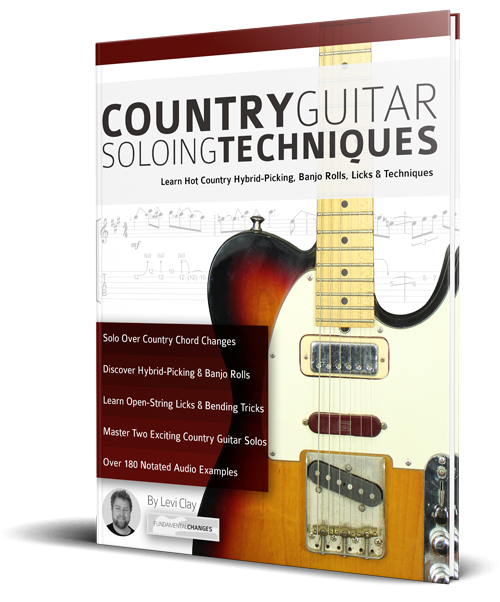 Country Guitar Soloing Techniques contains hundreds of supporting audio examples and backing tracks to help you get inside the music, and quickly apply every new concept in a musical way. 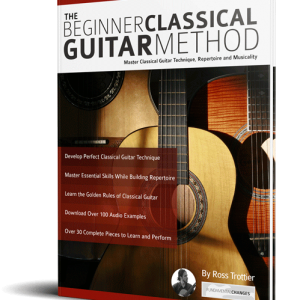 With over 250,000 copies sold and over 4000 5* reviews, you can be confident that your guitar education is in the best hands.